The Watergate scandal was a 1970s United States political scandal resulting from the break-in to the Democratic National Committee headquarters at the Watergate office complex in Washington, D.C. 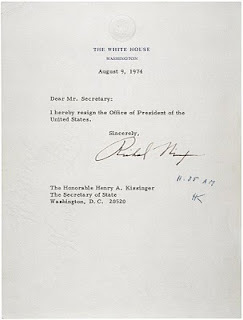 Effects of the scandal ultimately led to the resignation of the President of the United States Richard Nixon on August 9, 1974, the first—and so far, only—resignation of any U.S President. 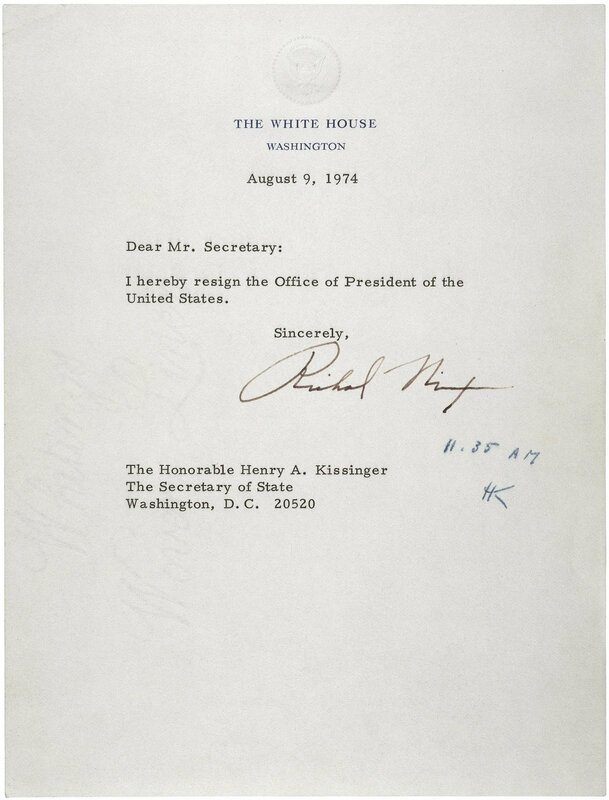 It also resulted in the indictment, trial, conviction and incarceration of several Nixon administration officials. The affair began with the arrest of five men for breaking and entering into the Democratic National Committee headquarters at the Watergate complex on June 17, 1972. The FBI connected the payments to the burglars to a slush fund used by the Committee for the Re-Election of the President, a fundraising group for the Nixon campaign. As evidence mounted against the president's staff, which included former staff members testifying against them in an investigation conducted by the Senate Watergate Committee, it was revealed that President Nixon had a tape recording system in his offices and that he had recorded many conversations. Recordings from these tapes implicated the president, revealing that he had attempted to cover up the break-in. After a series of court battles, the U.S. Supreme Court ruled that the president had to hand over the tapes; he ultimately complied.